by Daconta, Michael C., Obrst, Leo J., Smith, Kevin T.
Daconta, Michael C., Obrst, Leo J., Smith, Kevin T.
A strategic guide to the revolutionary framework that will change the way you do business Imagine if you could teach your computer to make decisions that lead to faster B2B trading implementations, more effective customer management, and seamless data warehousing. Now, your imagination can be turned into reality. This authoritative book explores the Semantic Web, a revolutionary new framework for creating intelligent software applications that automate the processes of reasoning and decision-making. The Semantic Web first shows you how to vastly improve knowledge management in your company using Semantic Web technologies. You'll then gain a clear understanding of the building blocks of these technologies, including XML, Web services, and the Resource Description Framework (RDF). Along the way, you'll be taken through the process of building the Semantic Web at your company in order to achieve a significant return on investment. This informative guide arms you with the strategies you'll need to know in order to start creating a host of robust new business applications. 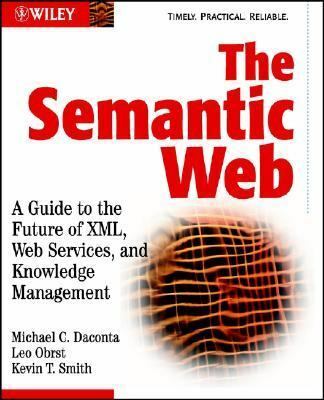 Written by leading experts in the field, it: Explains how businesses can leverage the Semantic Web for competitive advantage Covers all aspects of current Web services, RDF, and XML-related technologies including the emerging Web ontology language (OWL) Examines taxonomies and describes how they are implemented using illustrative examples Discusses how to attain semantic interoperability using ontologies Describes how to design a knowledge-centric organization The companion Web site contains source code for all listings in the book, a code appendix, and links to related sites.Daconta, Michael C. is the author of 'Semantic Web A Guide to the Future of Xml, Web Services, and Knowledge Management' with ISBN 9780471432579 and ISBN 0471432571.